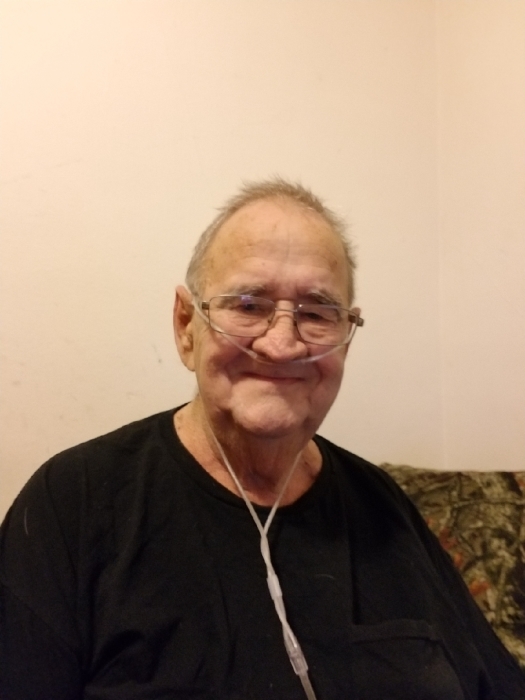 James Perry Cummins, 81, of Terre Haute, Indiana, passed away January 21, 2019, in his home with his loving family by his side. He was born in Sullivan, Indiana, on October 25, 1937, to Joe Cummins and Irene Bell (Brown) Faulds. James worked in the farming industry the majority of his life. He loved country music, playing cards, feeding squirrels, loved collecting deer things, doing word searches, and anything outdoors. James was a good father and grandfather. He is survived by his daughters Rosemarie Cummins (Harry Bracken) and Jamie Markle (Paul); grandson Deric Cummins; granddaughters Loretta Markle and Elizabeth Markle (Billy); adopted grandson CJ Philabaum; great grandsons Archer and William IV; siblings Jerry Cummins, Kenny Cummins, Ronnie Cummins, John Cummins and Joyce Syester; special caregiver Mary Kearns; and several nieces and nephews. James was preceded in death by his parents; and his true love for 52 years Marybelle Cummins Underwood; one brother, and many other family members. Funeral services are scheduled for Thursday, January 24, 2019, at 1:00p.m. in Greiner Funeral home, 2005 North 13th Street, Terre Haute, Indiana, 47804. Pastor Kim Pitts will officiate. Burial will be in Grandview Cemetery. Visitation will be at the funeral home on Thursday, from 11:00a.m. until service time. Online condolences may be made at www.greinerfuneralhome.com .